The National Skill Development Corporation India (NSDC) is a one of its kind, Public Private Partnership in India. It aims to promote skill development by catalyzing the creation of large, high quality, for-profit vocational institutions. It provides funding to build scalable, for-profit vocational training initiatives. Its mandate is also to enable support systems such as quality assurance, information systems, and Train the Trainer academies either directly or through partnerships. The main goal is to create opportunities, space, and scope for the development of the talents of the Indian youth and to develop more of those sectors which have already been put under skill development for the last so many years and also to identify new sectors for skill development. The new program aims at providing training and skill development to 500 million youth of our country by 2020, covering each and every village. Various schemes are also proposed to achieve this objective. The Mission of NULM is to reduce poverty and vulnerability of the urban poor households by enabling them to access gainful self-employment and skilled wage employment opportunities, resulting in an appreciable improvement in their livelihoods on a sustainable basis, through building strong grassroots level institutions of the poor. The mission would also aim at providing shelters equipped with essential services to the urban homeless in a phased manner. 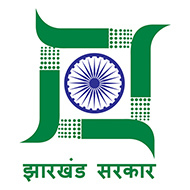 The Ministry of Rural Development (MoRD) announced the DeenDayal Upadhyaya Grameen Kaushalya Yojana (DDU-GKY). DDU-GKY is uniquely focused on rural youth between the ages of 15 and 35 years from poor families. 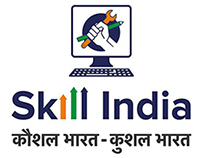 As a part of the Skill India campaign, it plays an instrumental role in supporting the social and economic programs of the government like the Make In India, Digital India, Smart Cities, and Start-Up India, Stand-Up India campaigns. The Pradhan Mantri Kaushal Vikas Yojana (PMKVY) is the flagship scheme of the Ministry of Skill Development & Entrepreneurship (MSDE). The objective of this Skill Certification Scheme is to enable a large number of Indian youth to take up industry-relevant skill training that will help them in securing a better livelihood. 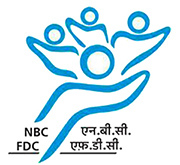 NBCFDC was incorporated under Section 25 of the Companies Act 1956 on 13th January 1992 as a Company not-for-profit with an objective to promote economic and developmental activities for the benefit of Backward Classes and to assist the poorer section of these classes in skill development and self-employment ventures. NBCFDC provides financial assistance through State Channelizing Agencies (SCAs) nominated by the State Governments/UTs. NBCFDC also provides Micro Financing through SCAs/Self Help Groups (SHGs).